Design standards – one of the fundamental issues that we face on campaigning for better infrastructure is that the design standards adopted by local council is outdated. We are campaigning to get those design standards amended to adopt up-to-date guidance. 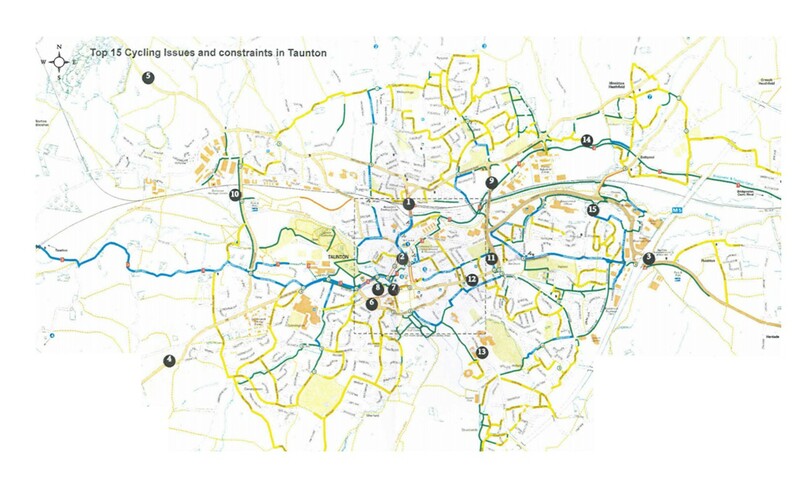 Taunton Tube Map – we have produced this tube map of cycling routes in and around Taunton which can aid communications with local council to illustrate concerns and issues.